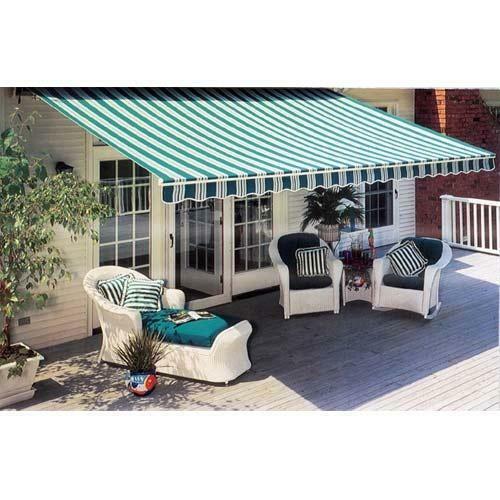 We are a reputed name in the industry, devoted towards offering the best quality array of Balcony And Terrace Awnings. Established in the year 1984 at Vadodara (Gujarat, India), we “Shangar” are a Partnership firm engaged in manufacturing and retailer an excellent quality range of Fabric Curtain, Curtain Tracks, Curtain Rod, Window Blinds, Upholstery Fabric, Fancy Mattress, Designer Wallpapers, etc. We offer this complete range at most reasonable prices to our respected clients. Under the direction of, “Mr. Karan Mehta” (Partner), we are able to provide complete satisfaction to our clients and achieved a significant position in the market. Having decades of experience in this field, our firm has gained reputation as one of the most preferred brand, offering optimum quality home furnishings items to our patrons. We perfectly analyze the taste and requirements of our customers, and offer them home decor products that amalgamate innovative designs, colors, textures and patterns. We offer world class blinds, upholstery fabric, wallpapers, mattress to our clients which mainly includes honored architects, hoteliers and interior designers.